Glamor? Check. Chic? Check. Durable? Check. Available now? You bet! The Summer Stainless Steel Sunbed in new white Batyline® Mesh brings elegance and style to your outdoor space. 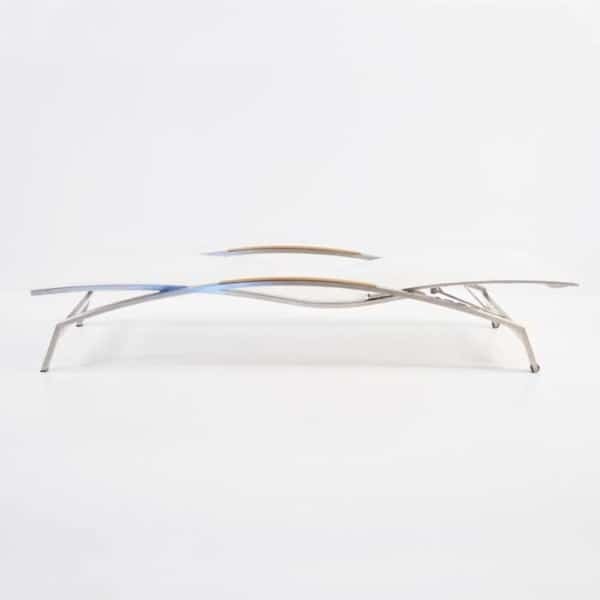 The Summer Stainless Steel Sunbed in White is part of our new modern line of furniture at Teak Warehouse, with a slick stainless steel low-lying frame, concealed wheels for easy movement, and a plush Batyline® mesh bed, you will be thrilled to bring this ultra-stylish addition into your home. W28" x L78" x H14"
Design a fabulous, modern setting with a couple of the Summer Stainless Steel Sun Lounger in White underneath a chic Sunbrella® Umbrella, with your dining area fit for company with a Stainless Steel and teak Extension Table surrounded by the chichi Summer range of stacking Chairs in matching white. Even tie in your table settings! Find some large white plates and stainless cutlery, purchase our Batyline® mesh placemats, and you’ll look as though you’ve had professional designers in! 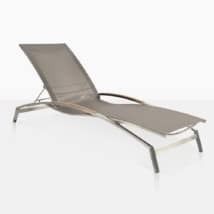 Line up three or four of these amazing stainless steel sun loungers alongside your pool, complete with matching teak and stainless steel side tables for a clean, chic and extremely inviting look. Concealed wheels make the Summer Sun Lounger extremely easy to maneuver so you can mix up the look of your home depending on the season or your mood! 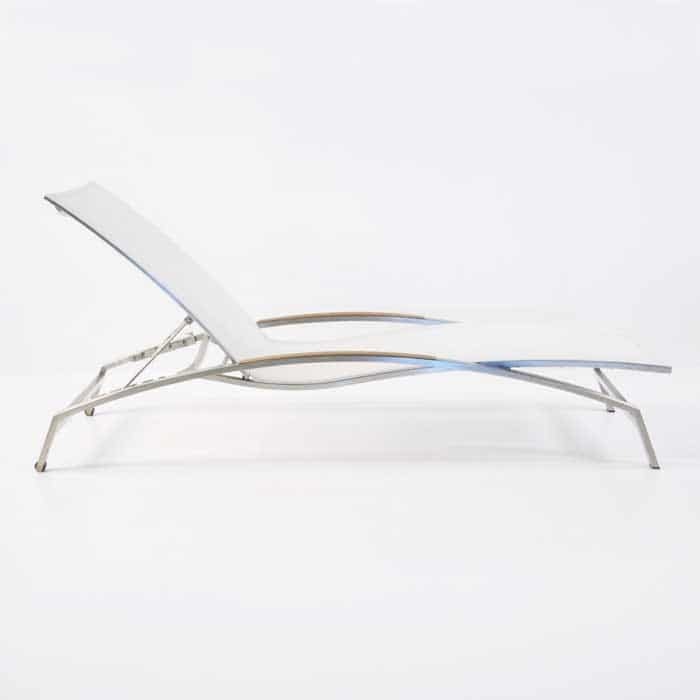 The materials used in this unique and stunning lounger means that chlorine or salt water won’t corrode or damage your product! This modern stainless steel sunbed blends the comfort and stability of Batyline® Mesh, #316 Stainless Steel and gorgeous A-Grade Teak, so as well as being top quality with excellent durability, it is an ideal addition to your outdoor area. 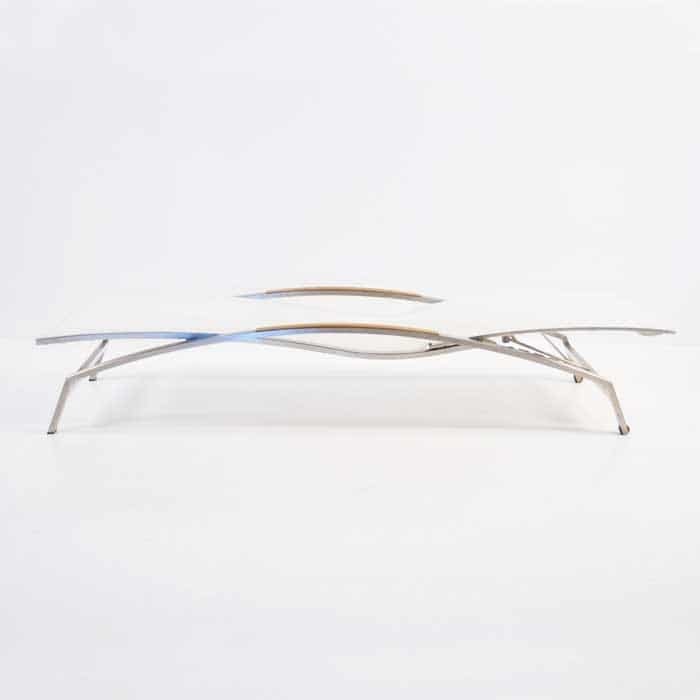 At Teak Warehouse, we are proud to have a great range of marine quality products. 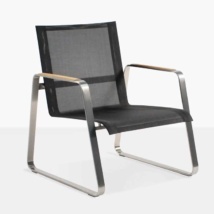 From rust free #316 stainless steel, to the exquisite Batyline® mesh; we also carry stunning A-Grade Teak, Sunbrella® fabrics, Reclaimed Teak and Raw Concrete. And all of these products are incredible, stylish and easy to maintain outdoors! So whether you’re after a dining set, poolside suite, delightful deep seating, or wish to reconfigure your entire outdoor area, we are excited to help you discover a great many options to suit your space and your personal taste! Call in or call up today! Our sales staff are in store 7 days a week to help you with your furniture needs. Perhaps you have a small space but don’t want to compromise comfort for style. You don’t have to with the Summer Sun Lounger! Set it up on your balcony or patio with a side table of your choice – either go for a matching side table, or make the whole look exciting and eclectic with the addition of some Raw Concrete or all weather wicker. When the chair back is fully upright, you’ll find this will create the perfect spot for catching up with some reading after work or in the weekends, and when its reclined you can get a nice dose of Vitamin D! The Summer Stainless Steel Sun Lounger in White has been a popular choice for hotels and resorts. Just imagine it! These beautiful, simple loungers lined up creating an oasis of luxury for your guests. They will never want to leave. 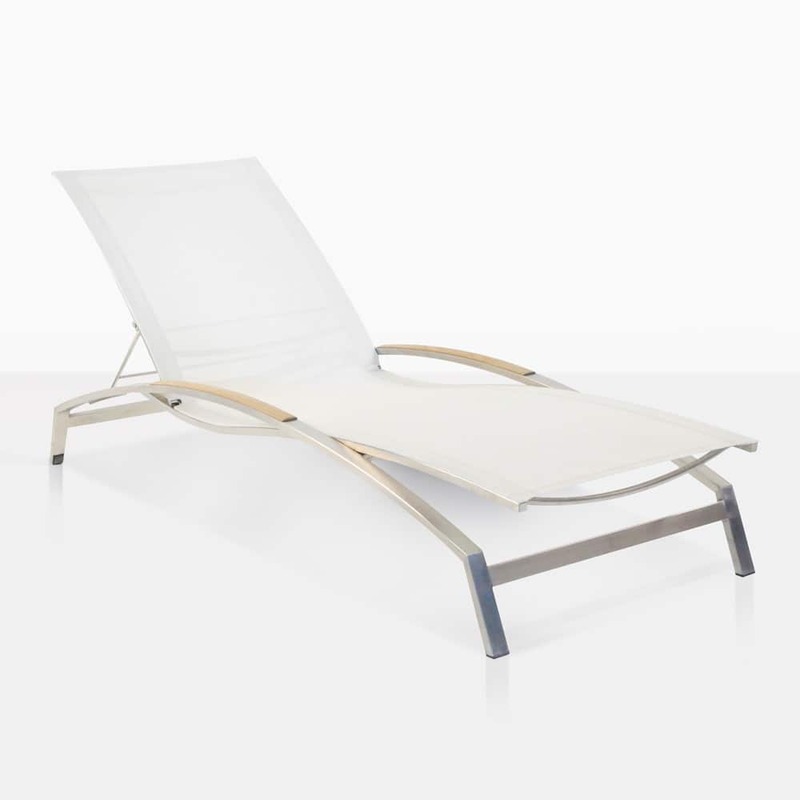 The Summer Stainless Steel Sun Lounger in NEW White Batyline® Mesh brings elegance and style to your outdoor space. 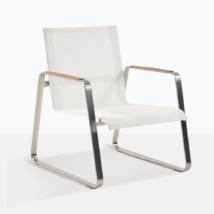 It is easy to clean, has durable synthetic mesh, with stainless steel and a hint of A-Grade teak. Also available in Black and Taupe mesh.